MasterPrep provides high throughput and versatile sample preparation for gas sorption analysis on any type of material. 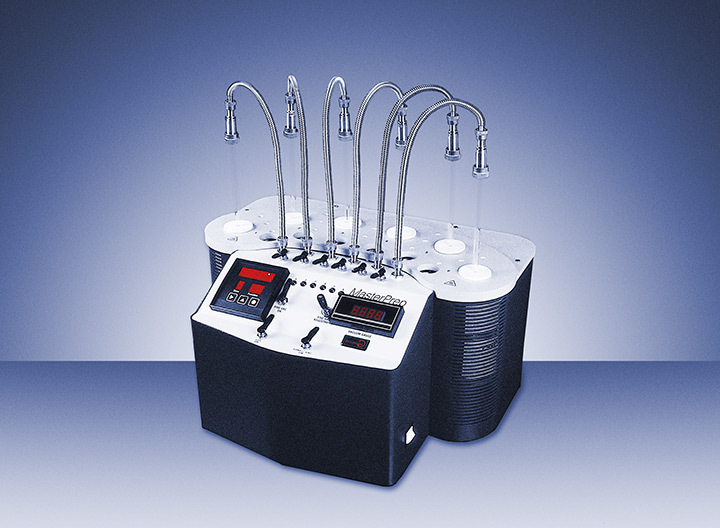 With independent temperature zones for each of the six degassing stations and user-selectable degassing methods (flow or vacuum), all degassing protocols may be followed on the same instrument. Additionally, temperature programming allows for up to 20 heating, temperature ramping, and soaking steps to be defined for each of the stations. All steps are programmed either on a PC, using the included PrepWin software, or directly on the instrument.